InternationalDrugMart.com Unveils New Savings Reward Program, plus Kicks Off Green Monday Deals! Independence Day Freebies at InternationalDrugMart.com: Grab FREE Vitamin B12 Supplements or a Pain Reliever! 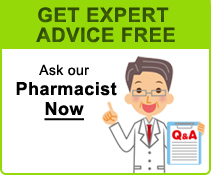 Get Valuable Health Insights at InternationalDrugMart.com: It’s Free!